Improve patient engagement, satisfaction and outcomes. Lexmark Patient Communication for Healthcare helps hospitals enhance the quality of patient information, right at the point of care. By eliminating the need for preprinted stock, clinicians can boost the accuracy of information and patients can easily read, understand and follow health-impacting documents. Search for more devices with our product finder. 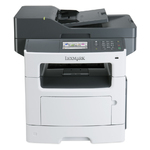 The Lexmark MX511de with fax delivers productivity solutions and features to help propel your hospital forward. 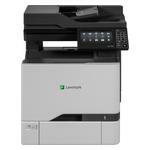 Fast, reliable, robust, the Lexmark MX812dte has the advanced features advanced healthcare systems need to thrive. 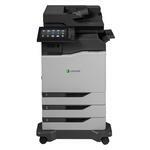 Enhance patient materials and still have the features you need for business with the Lexmark CX825dtfe. 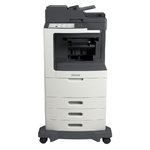 Workgroup-level features and vivid color printing in a compact footprint just right for cramped clinical areas. 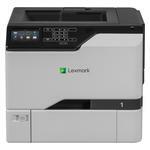 The Lexmark MS812de has the big features hospitals want with the small size tight quarters like nurse stations need. 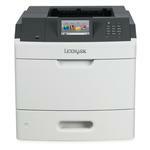 Faster printing, longer service intervals and lower cost per page in the durable, easy-to-use Lexmark CS725de. When a patient can’t read photocopied forms, patient care can be impacted if inaccurate or incomplete information is captured. Out-of-date forms used by different departments to collect information can lead to synchronization issues between health information management systems and patient data. In addition to continuity issues, hospitals face many other challenges when using preprinted forms. Whether you are looking to increase patient satisfaction, improve care or reduce expenses, the Patient Communication solution delivers powerful features to save staff time while providing a more positive experience for patients. According to research, using color in education materials and instruction may improve patient understanding and increase patient satisfaction. With the Patient Communication solution, specific elements like text, barcodes and graphics can be printed in full or spot color to highlight key messages and speed form completion. A multi-facility healthcare system in South Carolina partners with Lexmark to manage its diverse printer fleet and support HIMSS Stage 7 designation. Optimize your device fleet and your output environment with powerful analytics. Improve your printing processes with clear controls and get back to focusing on patient care. A large federal healthcare facility improves the effectiveness and efficiency of patient communications and overall workflow.